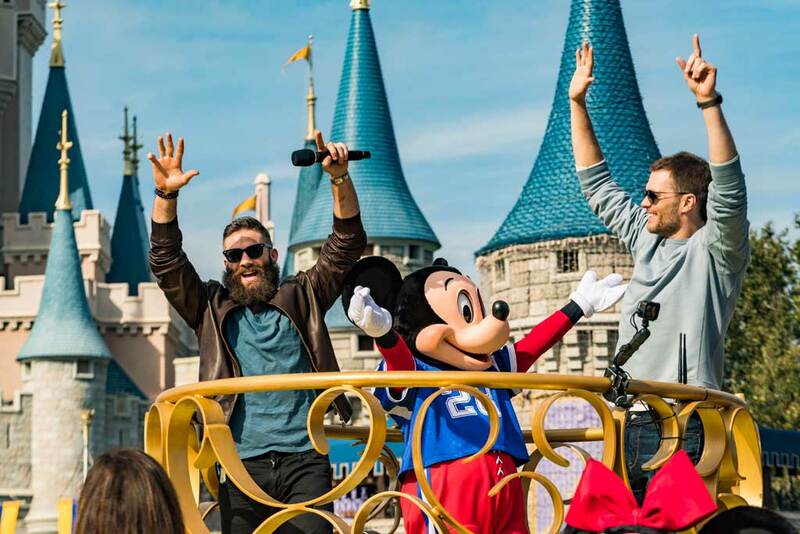 LAKE BUENA VISTA, Fla. (Feb. 4, 2019) – Amid a throng of cheering and waving fans at Magic Kingdom Park on Monday, New England Patriots stars Tom Brady and Julian Edelman punctuated the team’s Super Bowl LIII merriment with a magical celebration at Walt Disney World Resort. 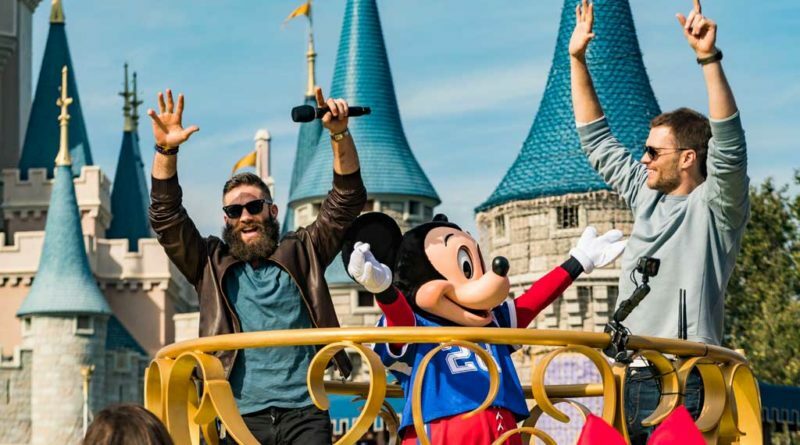 After leading the Patriots to a record-tying sixth Super Bowl victory Sunday night in Atlanta, Brady and Edelman were the toast of the town at Magic Kingdom Park, celebrating with fans, interacting with beloved Disney characters and experiencing signature Disney attractions. 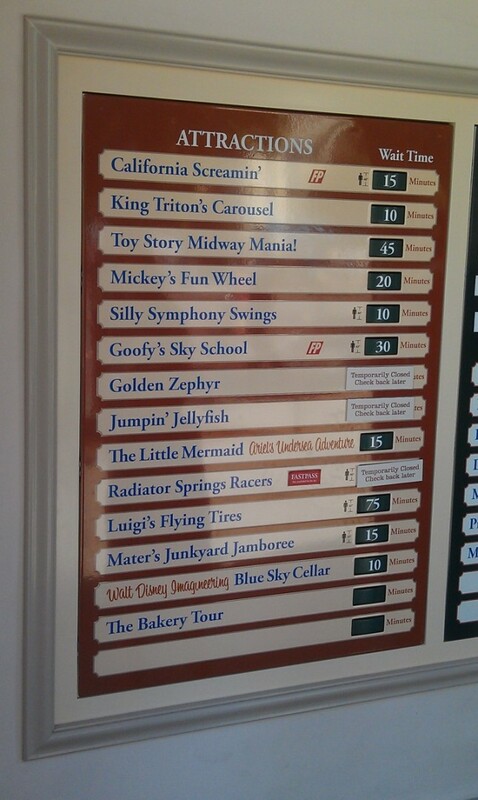 And they capped the day with a festive parade down Main Street, U.S.A. It was the manifestation of their pronouncement immediately after the Patriots’ 13-3 Super Bowl win that they were “going to Disney World!’’ The famous line is the centerpiece of an enduring Super Bowl TV campaign, with Brady and Edelman spot airing nationally this week. Brady completed 21 of 35 passes for 262 yards, while Edelman earned the game’s prestigious MVP award with 10 catches for 141 yards. Brady and Edelman are among a host of megastar athletes who have celebrated the greatest achievements of their sports with jubilant trips to Disney parks. That list includes several fellow Patriots players who visited Disney parks following the team’s Super Bowl wins in 2002, 2004, 2015 and 2017. Those post-game visits are part of a time-honored tradition of Super Bowl celebrations that stretches back to 1987 when Phil Simms celebrated his team’s Super Bowl win at Walt Disney World Resort. Now, more than ever, is the perfect time for everyone to celebrate like Brady and Edelman at Walt Disney World Resort, which recently unveiled several new parties, shows, character experiences and more across all four theme parks. 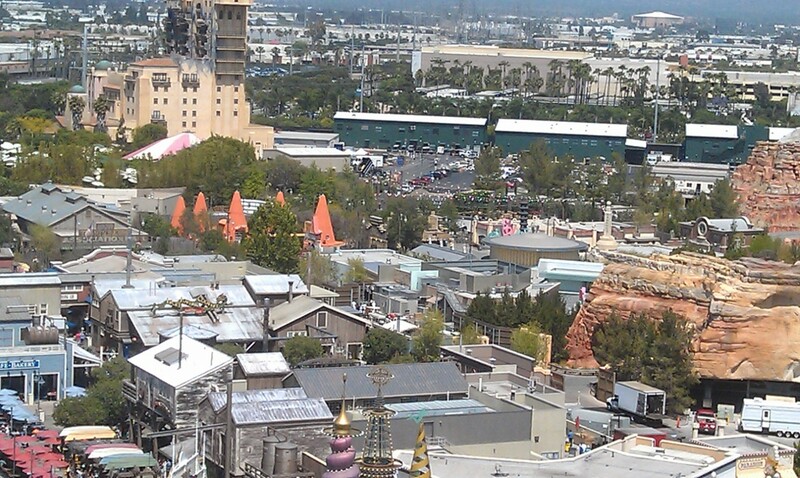 A look at #CarsLand from the Fun Wheel.